Ryan serves an advisor for Forrester’s CMO Executive Program. Alongside our CMO executive partners, Ryan works with CMOs, senior-level marketing executives, and their teams to advance their major initiatives, with a special focus on creating customer-obsessed strategies that drive business growth. 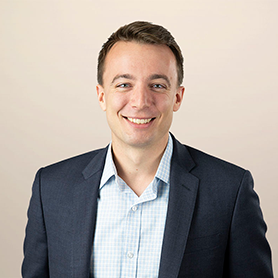 Ryan works across all of Forrester, bringing research, advisory, consulting, events, and data services together to provide the insights CMOs need to successfully navigate and win in the age of the customer. Prior to working on Forrester’s CMO Executive Program, Ryan was a senior research associate serving CMOs. During this time, he researched brand strategy and measurement for B2C and B2B marketing organizations, the impact of digital disruption on traditional businesses, and Forrester’s operating model for customer obsession. Ryan received his B.A. in psychology from Colby College and his M.Ed. from the University of Nevada, Las Vegas.